Our Family Farm - spinningspidercreamery's JimdoPage! 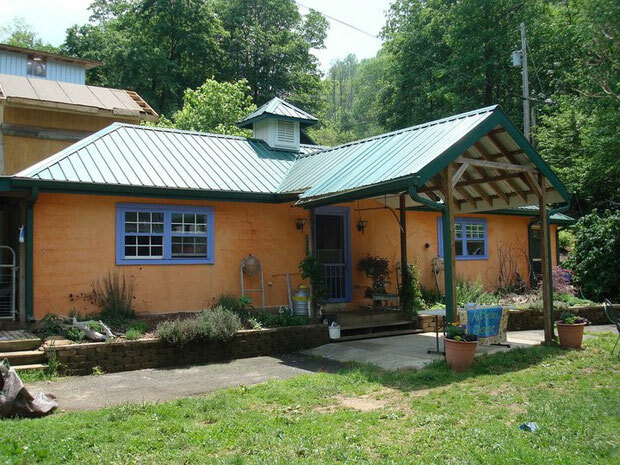 Spinning Spider Creamery is an artisan goat dairy nestled in a mountain cove on Bailey Mountain in Madison County, NC. Our elevation is high, our air and water are pure and our goats reflect this in their vitality and production. And because of this, our cheese encompasses the essence of our mountain environment. 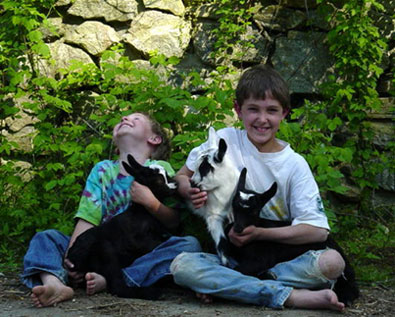 We are a family farm with our roots in 4-H and homeschooling our three sons. 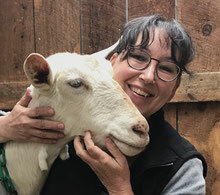 Our family mission is to maintain a lifestyle that incorporates the cycles of the seasons with our love of our animals, our craft of cheese making and our family unity. The entire family participates in the operation of the creamery. The end result is a variety of handcrafted artisan cheeses brought to their fullest complexity of flavors through care and attention to detail in an old world style. The Creamery is operated by our family with help by a seasonal employee. Everyone in the family is involved in the day to day operation of the dairy. Chris is the head of the operation. She's the main cheese maker and makes the day to day management decisions on the herd. Cullen, our oldest son, is a graduate of UNC Asheville and is working full time at the dairy along with judging dairy goats at shows around the country. He's also an employee of the American Dairy Goat Association (ADGA) as a Linear Appraiser. His jobs here on the dairy rotate between marketing, herd management and cheesemaking. The rest of the milking, chores and herd maintenance are handled by our youngest son, Morgan. Sylas, our middle son, is off working on his Master's degree at Appalachian State University. Chris' husband Jeff is employed full time with NC Cooperative Extension Service. When he's not at work, he contributes the equivalence of another full time job building and maintaining the facility and most important, marketing cheese on the weekends at the farmers markets. Look for Jeff at Greenville, SC downtown farmers market on Saturday mornings.